Urdu poetry or urdu ghazals are a good way to describes feelings. Here are few urdu heart touching verses in the form of Ye din ye raat ye lamhay achy lagty hain, one can share with its love bird. It’s photo edited urdu poetry. 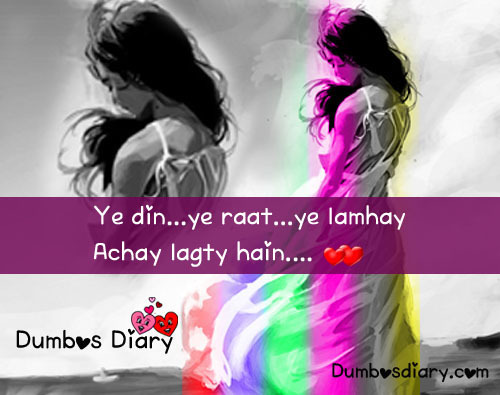 The girl missing its lover badly and sharing its thoughts.